Nothing's worse than putting effort and time into a costume, only to realize that you don't have appropriate footwear. That's no longer a problem, though, now that we are offering a fantastic array of costume feet and boot covers, all of which go a long way towards completing your ideal costume. In this category you'll find a number of foot-oriented accessories that can and will transform your toes into a variety of shapes that are perfect for a variety of costumes! 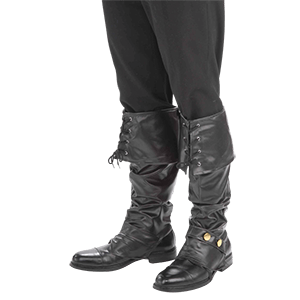 Many of the foot accessories you see here, ranging from our bony looking skeletal boot covers to our cloven hooves, down even to the goblinoid styled shoes, are made from quality materials, ranging from common latex to the rarely-used faux leather and fur. Most, if not all of the items featured here are sized to fit most typical adult feet, with many of the boot covers being slightly oversized to accommodate an adult's foot as well as an adult's shoe. The devil is in the details, and no matter what creature or style you're putting together, there's no better way to accent your costume than with a pair of costume feet and boot covers. If you've committed to a costume 100%, then you need to make sure that every inch of you is properly adorned. That means if you're going for a look that's monstrous, devilish, or undead, you need to cover your hands with a tasteful selection from the costume gloves and hands section. Why? Because human hands attached to, say, a werewolf or a devil are a dead give-away that can be avoided with just the addition of another great accessory. Every pair of costume gloves and hands offered here are a comfortable pair of masks for your hands that will transform each and every one of your little digits into something truly monstrous and magnificent. 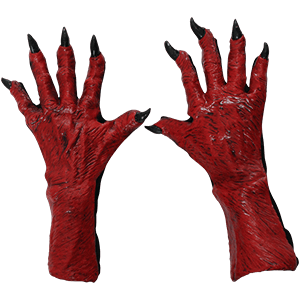 It doesn't matter if you want werewolf hands, vampire hands, skeletal hands, or evil hands, you'll find the coverings you need here to ensure your ideal costume look. Many of the hands and gloves featured here are made from latex and designed to fit most-any size of adult hand, allowing for a touch of stretch and give that ensures the gloves and hands virtually always fit snugly. It's often the accessories and additions to a costume that help it stand out, and these costume gloves and hands are no different, adding a level of detail that is sure to leave onlookers enthralled by your costumed appearance. Costume make-up can be the fine line between a really nice costume and a ridiculously awesome costume. Why? Because with any costume, there is a certain point where adding details ceases to increase the costumes visual appeal. For example, in this modern age, a vampire can look like virtually anything so long as he or she has fangs. So how do you make an impressive modern-day vampire, if you cannot add anything to the costume? You add fake blood and you apply costume make-up to the skin, to create the appropriate pallor. And this is just one such example of costume make-up enhancing a costume in a small, but meaningful way. 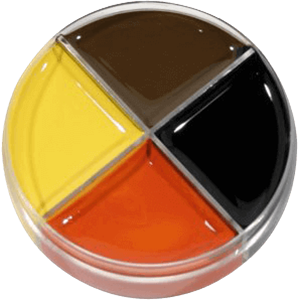 We carry several different sets of costume make-up, some of which are perfect for creating a dramatic and drastically different color-scheme that is perfect for any inhuman creature. We also feature costume make-up that is fantastic for making varying skin tones and wounds, ensuring that no matter your need, we offer a costume make-up kit that you can creatively apply to achieve your required result. And of course, it need not be said that we feature fake blood for all those vampires who need it. 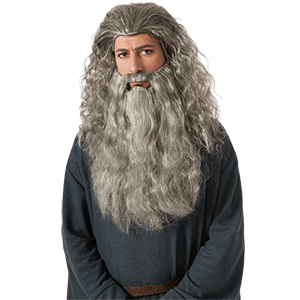 We offer a variety of Costume Wigs that compliment many of the costumes we carry. 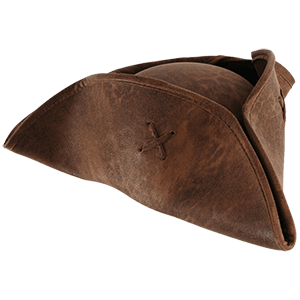 Whether you are dressing up as a Pirate, Arwen, Legolas or a Fair Maiden, you'll find the perfect wig here. These are all great quality Halloween wigs and some of them are licensed from Movies. 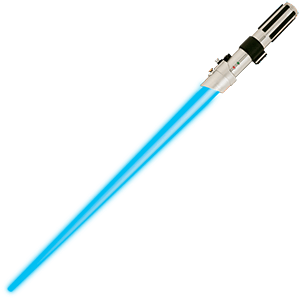 We carry medieval wigs, lord of the ring wigs, star war wigs, gothic wigs and renaissance wigs. Some of the most creative and intriguing costumes feature not only breath-taking costumes and accessories, but also feature the additions of prosthetics which alter more than the wearers physical appearance they altar his or her race or state of being. We offer a wide variety of small yet stunning and shocking prosthetics that are designed to elevate your costume from good to great in little more than the paltry amount of time it takes to apply the prosthetic. Our costume prosthetics are great for adding those final touches of realism to any costume. If you want to be an orc, we feature orc ears, noses and teeth to make you look as real as possible. 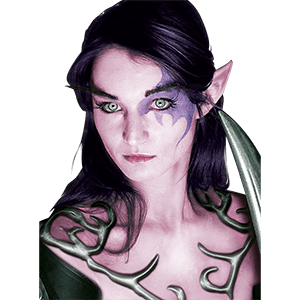 Or if you want to be an elf, we carry several different types of ears: wood elf ears, moon elf ears, high elf ears and more; we have all the ear prosthetics that you could need, to be almost any type of elf you can imagine. Our prosthetics can make you into a goblin, or a dwarf, or even a troll! And no prosthetic section is complete without a series of vampire fangs. And since many of our prosthetics feature a natural skin tone, they can easily be painted to ensure that whether you are a blue orc or a purple goblin, your costume prosthetics will match perfectly. So if you find that your too human race is holding back your costuming potential, change things up and make yourself into something different with our costume prosthetics! Add a touch of horror to your Halloween, or to your everyday life with these impressive props and decor. Dead heads and hearts, are not the only things you will find here, though, as we have plenty of other props, including animals, too. Everything you could possibly need to add that stylish touch to your decorations come Halloween is here, although it really does not need to be Halloween for these props and decorations to get good use. 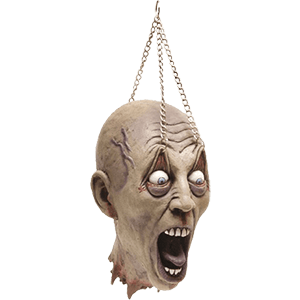 You can find gruesome severed heads that make for fantastic battle trophies, as well as other frightening decorations. There are dismembered limbs and organs here, some monstrous, some normal, and all of them eerie. You can also find classic elements of horror here, like werewolf, vampire, and zombie statues and figurines. 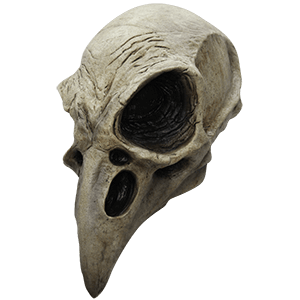 So if you find yourself in need of a prop or a decoration for a specific scene, style, or Halloween decor, check here and you will find just what you need in this category.